Situated in the centre of Chengdu Plain, at the confluence of the Min and Tuo Rivers, is the maze-like city of Chengdu. 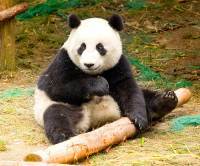 Travellers are most commonly drawn to the area by the Chengdu Panda Breeding and Research Centre, but once there they discover many other interesting things to see and do in Chengdu. Pandas are justifiably Chengdu's biggest attraction, where the Chengdu Panda Breeding and Research Centre has popularized conservation of these gentle giants. The centre rehabilitates and breeds a number of animals besides the loveable Giant Pandas, including Red Pandas, South China Tigers, and Golden Monkeys. It is an absolute must for anybody who loves animals and is interested in wildlife conservation. For a special donation, visitors can even hold a panda cub. 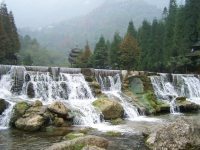 Another popular excursion from Chengdu is a trip to Mount Qincheng just outside the city. The mountain provides wonderful hiking opportunities amidst many historical and cultural places of interest. Travellers interested in archaeology and ancient civilizations should visit the Jinsha Site Museum, located on the site where archaeologists unearthed an ancient village of the Shu Kingdom (220 - 280 AD) and displays some wonderful ancient relics and artefacts. A good companion site in town is the Wuhou Memorial Temple, which has shrines to the ministers of the Shu Kingdom. 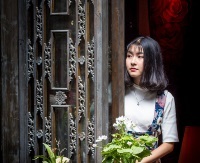 Other attractions in Chengdu include Wenshu Temple, the city's largest Buddhist temple complex, and People's Park, a big public park with a number of attractions, including a rather odd underground museum. Kuanzhai Ancient Street is also worth visiting: it is a trendy shopping street and cultural hot spot as well as a historic preservation area with several ancient structures. Kuanzhai and the charming Jinli Alley are the best places for bargain hunting and sampling local cuisine.